Oh know..Don’t do it Lee!! LOL – love the idea… OOPS!! Hilarious! Perhaps Lee has political ambitions, He would be in the right frame of mind. :) No pun intended..
Don’t do it!! 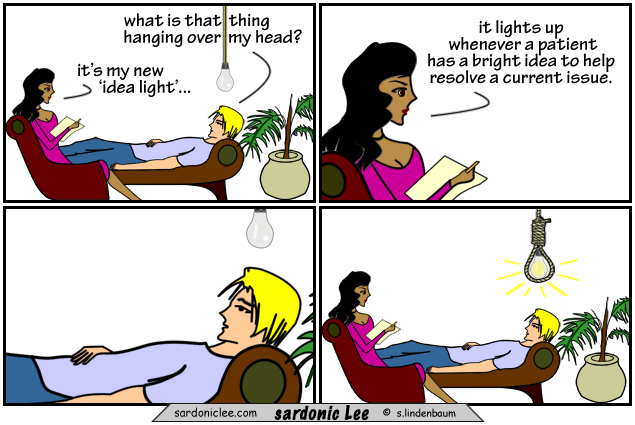 Wait, Is Lee trying to kill himself or the light bulb? If that thing didn’t light there would definitely be a “current” issue.